HONG KONG, 19 Sep, 2013 - Advanced Card Systems Ltd. (ACS, a wholly owned subsidiary of Advanced Card Systems Holdings Ltd., SEHK: 8210), Asia Pacific's top supplier and one of the world's top 3 suppliers of PC-linked smart card readers (Source: Frost & Sullivan), was chosen as the certified supplier of smart card readers for an online e-government transaction system in a Middle-Eastern country. 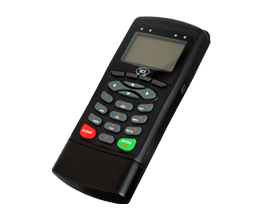 The ACR89 is a handheld smart card reader with PIN-pad, suited for e-government, e-banking and e-payment, e-health, transportation, and loyalty applications. It operates in both PC-linked and standalone modes to provide flexibility. ACS’s ACR89 was chosen to enable a web-based e-government application that simplifies all labor-related management and processes between companies and the government. To facilitate the use of the system, the ACR89 reader is either issued by the government directly to companies, or deployed in different service centers throughout the country for more convenient access. Using the ACR89, companies can add or remove employees in a national registry. They can also use it to submit documents such as work permits, company licenses and labor contracts directly to the government. Through the device, they may also print receipts or access other services over the Internet, such as viewing transactions and generating reports. To complete and authorize each transaction, a company representative needs to present an e-signature via two-factor authentication: a user simply inserts his/her national ID card, which contains an e-certificate (what he has) and inputs his/her PIN (what he knows) on the ACR89. Through a two-factor authentication system, company data is safeguarded even after e-certificate/ID theft. The ACR89 also supports secure pin entry, which protects PIN codes from viruses and similar threats. The ACR89 also has a tamper detection switch, which will erase all data and programs in the device during intrusion. Compared to traditional systems, a web-based system for handling labor-related management and processes requires less resources (time, paper forms, personnel, etc. ), generating more savings for companies who utilize this e-government transaction system. Additionally, the overall management of labor records becomes more organized and secure, resulting in greater efficiency for both the government and the project’s users. Advanced Card Systems Ltd. (ACS, a wholly owned subsidiary of Advanced Card Systems Holdings Ltd., SEHK: 8210), founded in 1995, is Asia Pacific's top supplier and one of the world's top 3 suppliers of PC-linked smart card readers, as well as the winner of the Product Quality Leadership Award for Smart Card Readers from Frost & Sullivan. One of the companies on Forbes Asia's 2010 "Best Under a Billion" list, a prestigious list of 200 top-performing companies with sales between US$5 million and US$1 billion, selected from 12,930 publicly listed enterprises in Asia Pacific, ACS develops a wide range of high quality smart card reading/writing devices, smart cards and related products and distributes them to over 100 countries worldwide. Visit ACS at http://www.acs.com.hk/.